Recruiting: Should Oregon Football Coaches present NEGATIVE now? Come on Oregon fans, ‘fess up! If you are reading this it is because you are an extraordinary Duck football fan that cares about the team far beyond all reasonable time that should be given to such a hobby. Like yours truly, you love reading about your beloved Ducks and want them to not just win, but someday win the National title that eluded Oregon twice in the last six years. Further, you and I have been to this rodeo many times in our lives; we know what it will take. A coach who accomplishes this has to be highly skilled at so many things, and have some luck with bounce of the ball, a penalty overlooked, and injuries that do not happen. Yet the basics of an elite college football program are great coaching and great recruiting, but only both deliver us the ‘Natty that we lust (you are flawed, but I still love you Cliff Harris). Like so many, I am stunned at the quality of the coaching staff assembled at Oregon. Coach Willie Taggart: you got who from Alabama (Mario Cristobal)? You signed the National Defensive Coordinator of the year (Jim Leavitt) and the Defensive Back Coach of the Year (Charles Clark)? The cup runneth over from the expertise of this group. Yet Coach Taggart may have put together the most fully loaded recruiting staff ever. There are the obvious big names (hello, Cristobal), but most do not know of the incredible recruiting prowess of the supporting staff brought from South Florida, in addition to the coaches. No. I don’t endorse that attitude, but his point is quite pertinent to us in the Pac-12. Running the table on USC, Washington, Stanford, etc., is a pretty tall task and our windows to win the ‘Natty over time (realistically) will be few and far between. Taggart has stated he wants to be the first black coach to win a national title, and it sure appears he is pulling out all the stops to get there. 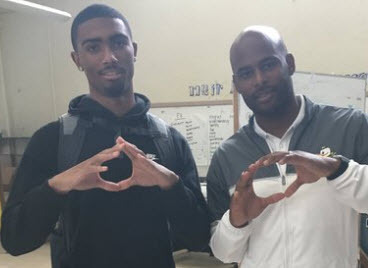 We have heard this for years, and as those players go to other schools due, at least in part, to these smears, we are faced with the realization that another blue-chip player or two could have made a difference on defense in the NC games for the Ducks. Sadly, it worked for other programs to fabricate stuff against the Ducks to help their recruiting, and hurt Oregon’s. 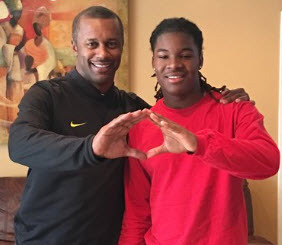 The ridicule, Taggart said, has come up on the recruiting trail. Taggart said parents of recruits have asked assistants about what happened and he believes opponents have used the hospitalizations as fodder for negative recruiting. ”All they hear is a ‘military-style workout,'” Taggart said, “and so now everybody is saying ‘they don’t know what they’re doing, they are hurting the kids, they don’t care about the kids’ welfare,’ and it’s not like that. Yes, it turns our stomach and will never end from our competitors. It is time Oregon does it in return? 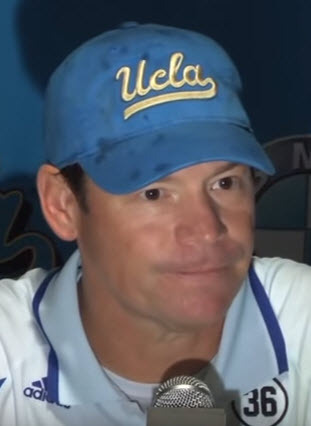 Now I am not stating that Oregon coaches should say, “you don’t want to play for a lying, despicable sleazebag like Jim Mora” (even if he is). But what about pointing out the highly rated recruiting classes UCLA has achieved and how little they have to show for it? Or listing all the players with high upsides that went to the Bruins and never saw that potential fulfilled? Or noting the ups and downs of that program compared to Oregon in the lifetime of the recruit (from year 2000 on…)? What about the depth chart of loaded talent at USC in that player’s position, versus the opportunity for early playing time at Oregon? What about showing a little negative? We all make decisions in our lives by looking at the positives and negatives of a subject or decision. Why not present it that way in recruiting? Is that really so bad? Aaron Fentress of Comcast also wrote an article a year ago concerning his study of teams that won the National Championships in the past 15 years. Almost without exception these teams averaged recruiting classes in the top ten in the nation. Now that opponents have caught up with Oregon’s facilities, uniforms, Spread Offense, and No Huddle tempo? Our advantage against elite recruiting is gone, as every program is doing the same thing. Thus, we’re back to square one: the best recruiting and coaching wins. Is it time to take the gloves off in recruiting?